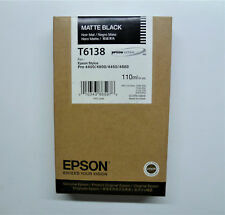 Epson T564a Iccvk36 Stylus pro 4800 Px-6500 Black Ink Conversion Kit Sealed. T6061 with 220ml. T6062 with 220ml. T606B with 220ml. T6064 with 220ml. T6065 with 220ml. Dazu benötigen wir vorab einige Angaben über Ihre Organisation. Wenn das Geld ins Ausland überwiesen wird, trägt der Empfänger die gesamten in- und ausländischen Überweisungskosten. You won't find cheaper prices anywhere else! Fade-resistance technology ensures your prints will last longer. Need it even faster?. In order to accept an item as being faulty, we must be able to replicate the described fault when tested. Farbe schwarz matt. Farbe matte black. 59457 Werl. Thomas can. Compatible products: Stylus Pro 4800, 4880. Printing colours: Cyan. Dot Matrix Printers. Hard Drive Caddies. Images for illustration purposes only. Wireless Networking. Multifunction Printers. Other Drives and Storage. The ink is supplied in sealed InkTec ® bottles. Marke InkTec®. Kompatibles Druckermodell 7900, 9800, 9880, 9890, 9900, 11880. All of one single source! The photos are therefore regarded as sample images. InkTec ® MK. The ink is by InkTec ® Jerry cans filled. wrong saving: "now save by the ink, later spend much more money for the new print heads", you buy maybe the best refill ink worldwide -. InkTec ® ink! 8pcs per lot. Manufacture: Ving Parts. T605B 110ml capacity DATE STAMPED APRIL 2020. Geltungsbereich/Anwendbares Recht Für die Geschäftsbeziehung zwischen uns, der Fa. Abweichende Bedingungen erkennen wir nicht an, es sei denn, wir hätten ausdrücklich schriftlich ihrer Geltung zugestimmt. InkTec ® MK. 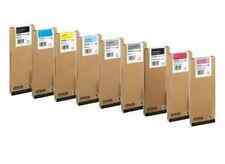 wrong saving: "now save by the ink, later spend much more money for the new print heads", you buy maybe the best refill ink worldwide -. InkTec ® ink! The ink is supplied in sealed InkTec ® bottles. We will dispatch the product after receiving the money. We will do so too. We'll strive to resolve your problem. Condition: new. Format: Hardware/Electronic. LAND OF GROOVES. Farbe Cyan. Farbe light cyan. Farbe hell cyan. Produktart Original. Thomas can.